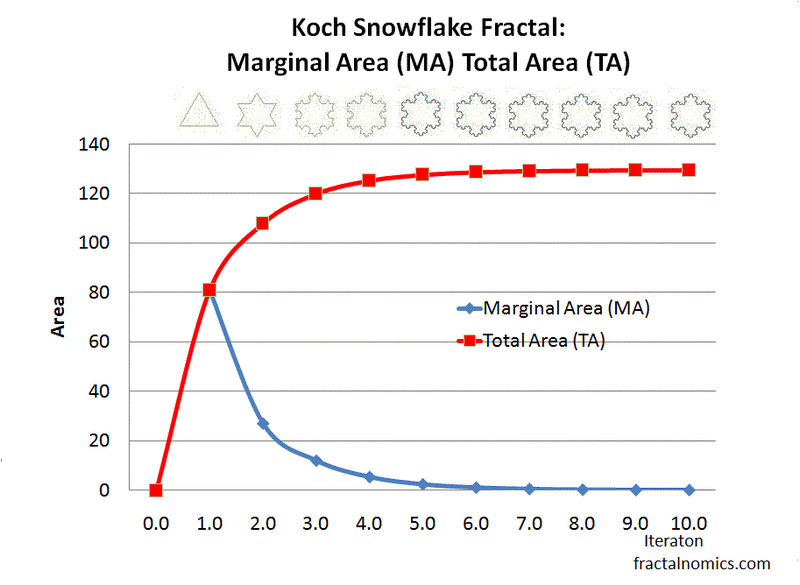 The paradox of value or the diamond water paradox is well established and it is not my intent to challenge it but rather show that the fractal complements it. – explains it. As I have shown earlier, the demand curve is derived from the fractal, it follows that if there is any substance of truth to my thinking it must address the likes of this paradox too. The answer to this paradox of value goes: diamonds are valued highly as they are assumed scarce, they have low Total Utility and a high Marginal Utility (or value). 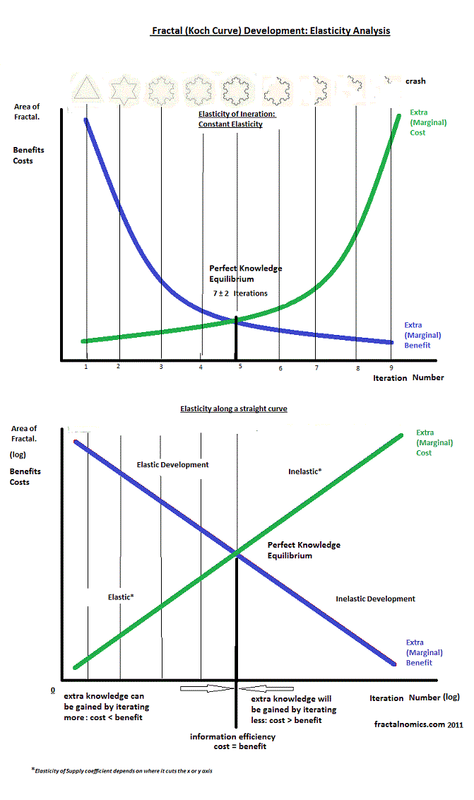 Goods similar to this are positioned to the left of any Marginal analysis diagram. Water is less valued than diamonds a it is (assumed) abundant. Water has high total utility and low marginal utility. The fractal offers an explanation to this paradox - or at least demonstrates. 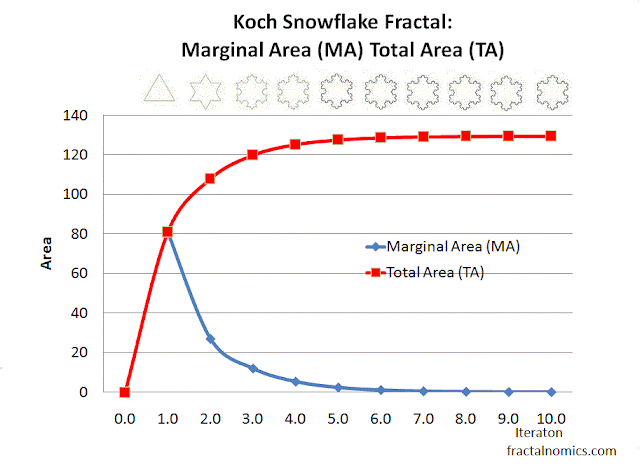 If the object is not developed – fractally speaking – then it is positioned to the elastic left end of the fractal MA curve in Fig. 1: another iteration will return similarly high marginal area or satisfaction. If the object is fully developed 'fractally', it is positioned to the right on the fractal MA curve - another iteration returns a very small gain in satisfaction. We value goods differently because in our 'mind’s' we experience objects in different stages or position of fractal development. The stage of development also determines the elasticity of the good, which is fundamental to value determination theory. The later is demonstrated in Fig. 2 with elasticity changing as the object develops.